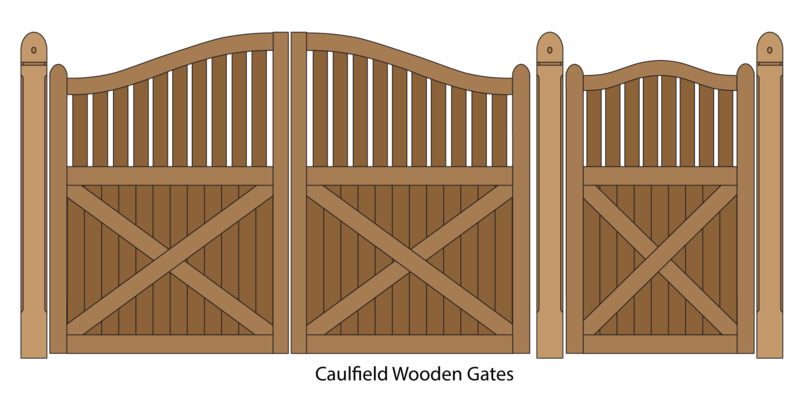 Wooden Gates and Timber gate design. Supplied and Installed in Melbourne, Delivered Australia Wide. 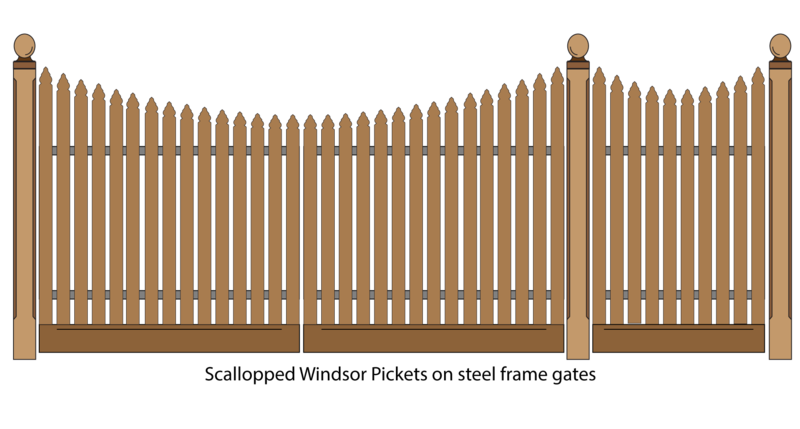 Our Feature Wooden Gates or Timber Gates are built with traditional deep mortise and tenon joints, wood gate construction cut out of the substantial 85x65mm frames to ensure your timber gate remains in good condition for many years. While the mortise and tenon joint has been used in wooden gate construction for hundreds of years, we have the added advantage of modern epoxy resins to make our wooden gate joints rock solid. 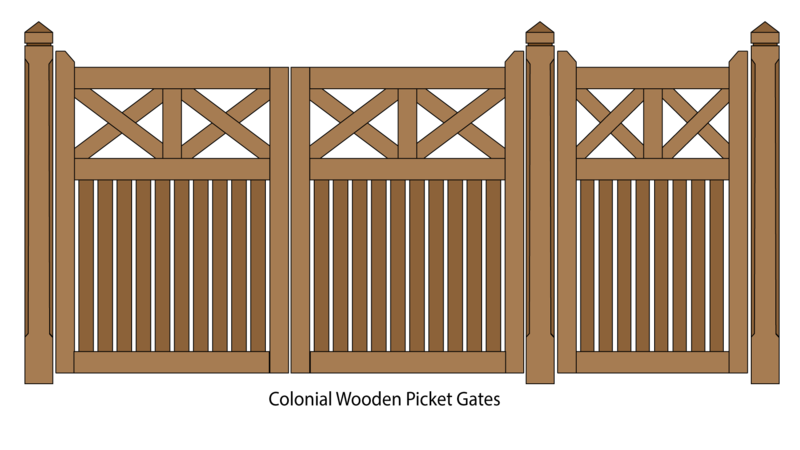 Our Premium Merbau wooden gates are oiled or laquered so the beauty of the wood is on display. The finish does need maintaining before every second spring. 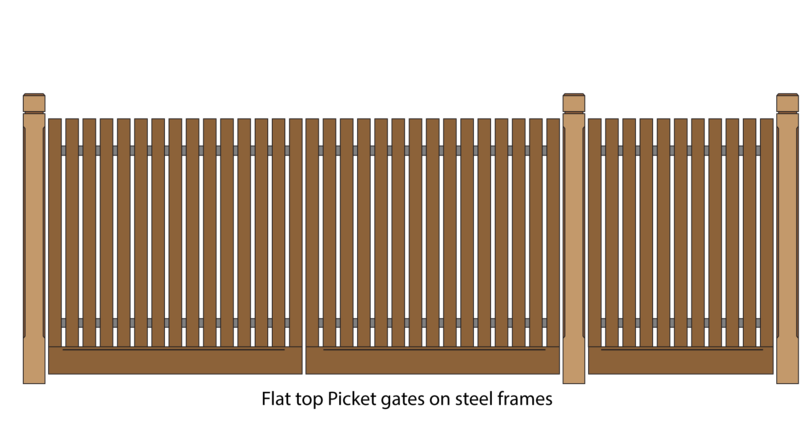 Our standard wooden gate range are made from engineered Kiln dried treated pine and are pink primed in readiness for the topcoats. The timber gates below all feature a heavy wooden frame, with crosses in either the top or bottom section, whose function was to stop the wooden gate going out of square. While no longer strucurally necessary today because of the modern epoxy glue we use in our timber gate manufacture, they are a traditional feature of the Victorian or Edwardian timber gate. Lining boards are set into the frame before the wooden gate is glued up, making for a solid and sturdy timber gate. Ball bearing strap hinges take the weight of these solid timber gates, and a brass (or chrome) ring latch or simple D latch controls access. These timber gates are suitable to use with our automatic openers and can be set up with a deadlock and intercom opening. 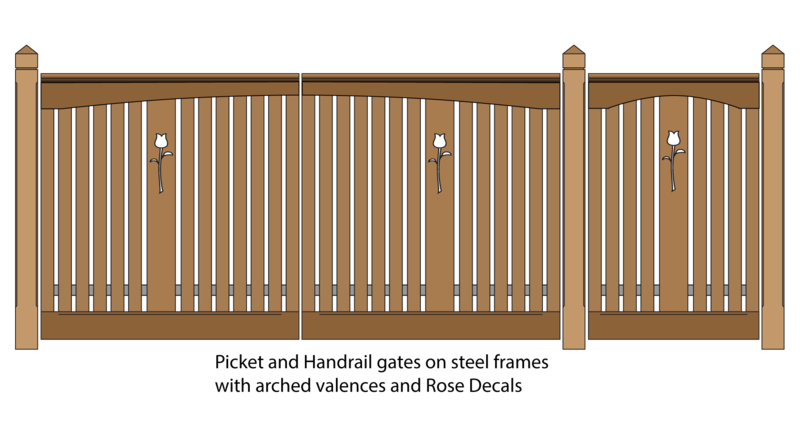 You may order gates for any size gate opening, as we custom make your gate. Larger sizes will be charged on a pro-rata basis. Lead time is approx. 3 weeks. Pay by bank transfer, card, cheque or cash. 1/2 deposit, balance upon delivery. 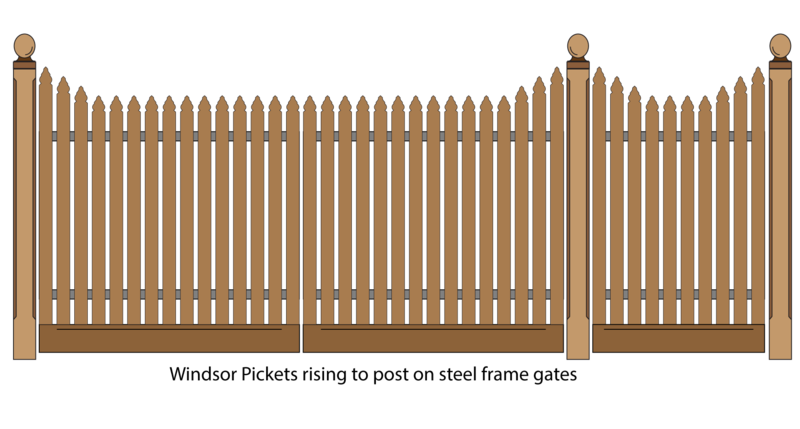 Ask about latches, posts, letterboxes and other fence and gate materials. 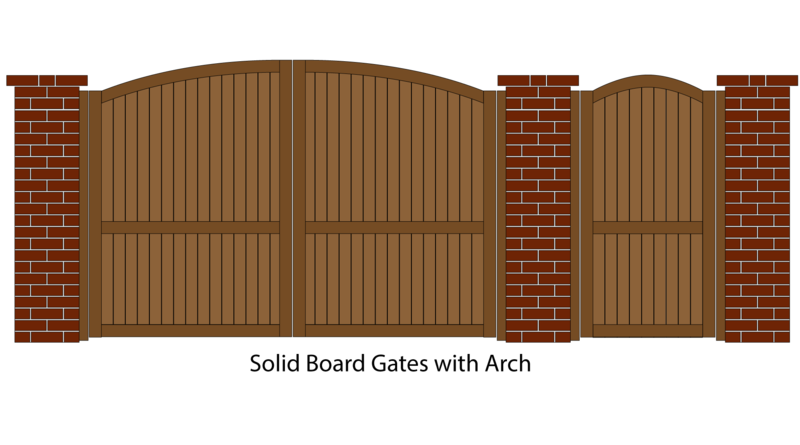 GATE MOTORS: CLICK HERE Add automatic gate motors to your driveway entrance. Copyright ©2005 David English All rights reserved.